Would, say, 100 Euros per month for every person on the planet, regardless of whether they work or not, not help the world become a better place? This question came to mind when I watched the images of destroyed Indonesian rainforest in Years of Living Dangerously. 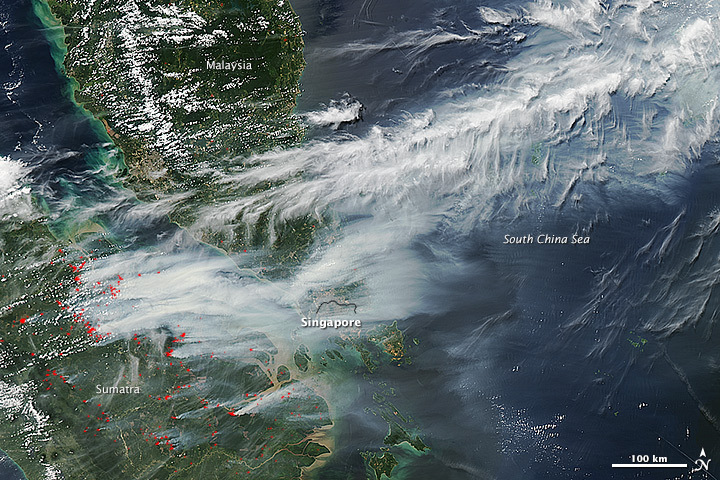 Smoke billowing from illegal wildfires on the Indonesian island of Sumatra in June 2013. Courtesy of NASA’s Earth Observatory. Why do people cut the trees? Because they get paid to do it.1 What if each and every human, everywhere in the world, was paid a salary which allowed them to choose not to do a job they did not like? Would the trees continue to be cut and burned? Would climate change, a problem that affects all of us, be a problem still? Does war not often happen because of hunger? Will people not do most anything to avoid hunger? Would a right to a salary help? Whatever answers we humans give to these questions will affect us all. 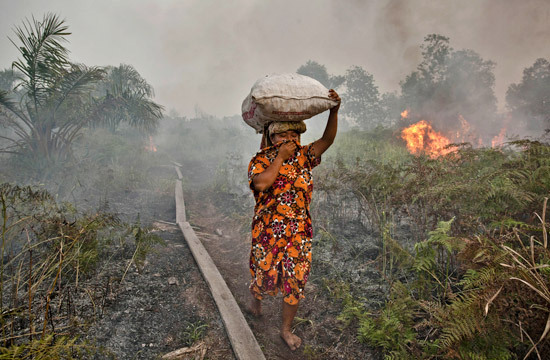 A woman walks through haze as a forest fire burns bushes in Siak Regency, Riau Province, Indonesia. Photograph by Ulet Ifansasti/Getty.